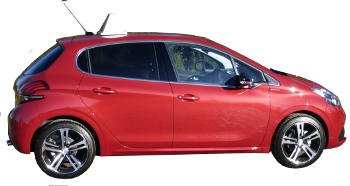 Carolyn Whitehouse is an fully qualified independent Driving Standards Agency (DSA) Approved Driving Instructor in Rugeley, Staffordshire, who has been teaching driving since 2004. Whether you are a nervous pupil, a first time learner driver, or have even had driving lessons before, Carolyn is a patient and approachable driving instructor who will help you to pass your driving test as quickly and safely as possible. I am listed on the DSA's Approved Driving Instructor Register (in the 'Find Driving Schools and Lessons' section of the DirectGov website) under my married name, Carolyn Ann Gandy. Intensive Driving Courses or block booked driving lessons can be quite a cost effective way of learning to drive, because Carolyn offers discounts for block booking (10 hours or more) of driving lessons & intensive driving courses. please see the pricing section below & the "About the courses" page for details. Those drivers that have recently passed their practical driving test may also wish to consider the Pass Plus course, which includes valuable additional driving experience not covered in the practical driving test, including: Town & City centre driving, Driving on Rural roads, Bad or adverse weather driving, Night time driving, Dual Carriageway driving & Motorway driving. Pass Plus can, in some cases, save you money on your insurance. You can save further by attending the Pass Plus Extra scheme which is operated by Staffordshire County Council. See the section below for details. For those drivers who simply haven't driven in a while that would like some extra tuition, Carolyn offers refresher lessons & motorway tuition lessons to suit your individual needs. Please call or contact Carolyn to discuss your individual requirements or to arrange a free consultation / assessment. With the exception of cash, all payments must be received prior to the lesson unless otherwise agreed. I cannot currently accept Paypal, Debit cards or credit cards. If your area that you wish to learn to drive in is not mentioned in the list above, please ask! Before you can book your practical driving test, you must first pass the DSA theory test. There are also several superb theory test study aids on the market, including excellent products from the likes of Focus Multimedia & LDC. Based on past experience, I can recommend the LDC Theory Test CD ROM because it is an excellent resource to guide you through passing your theory test, with all of the required DSA subjects including the Highway Code, Official theory test questions & over 400 hazard perception clips. Visit my Facebook page for my most recent news. Please 'Like' my page to receive updates. Site last updated & prices current as on 16th June 2018 (subject to change). Errors & omissions excepted. LDC & LD System names are the copyright of Teaching Driving Limited.